Do You Have a Problem with Heroin, Opioids, or Prescription Medications? We Can Help! Please call us at (630) 553-9100 and Let Us Assist You With Accessing Treatment. Early intervention services targeting individuals at risk of developing a substance abuse problem. Delivered to individuals dealing with significant substance misuse at the abuse level. Delivered to individuals dealing with high risk substance misuse at the dependent level. Treatment consists of individual, group, and family counseling at a minimum of 9 hours a week. A group designed to support individuals in maintaining recovery after formal treatment. Includes the review of relapse prevention goals and skills. 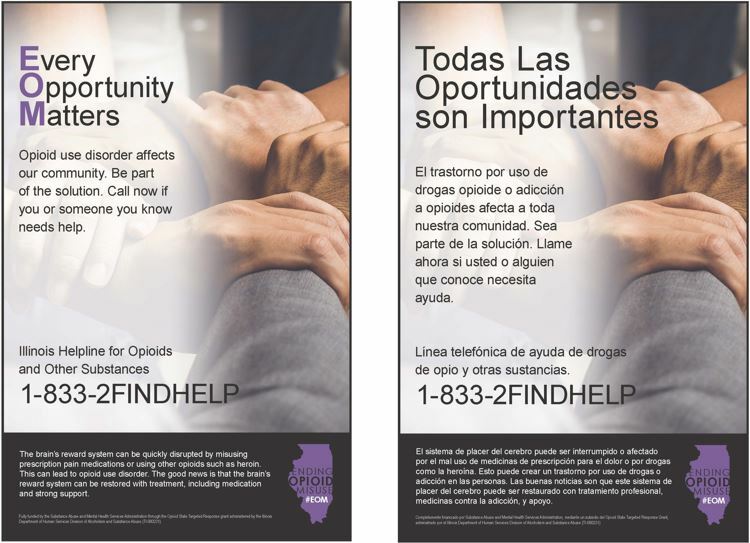 Funding for programs provided in whole or in part by the Illinois Department of Human Services, Division of Alcoholism and Substance Abuse.